The 2015 North American International Auto Show [NAIAS] was the most significant American auto show this side of the 2008 financial crisis. This was the show to bring out your heavy hitters, and Ford, Honda, GM and others brought there best. 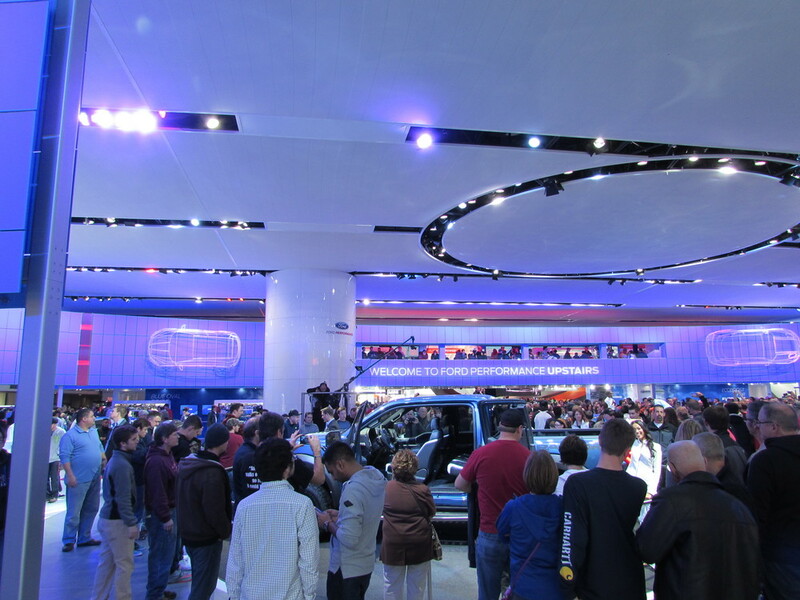 Though I’ve gone to the Chicago Auto show last year, this was my first time visiting the NAIAS. With my maiden trip, I have to admit I probably would have been excited regardless, but the energy from the media at this show was something special. I want to focus on the racing relevant road technology [no I’m not dyslexic] we saw coming out of the show this year. The following is a short opinion piece on what we may or may not see in the racing world sometime in the near future. 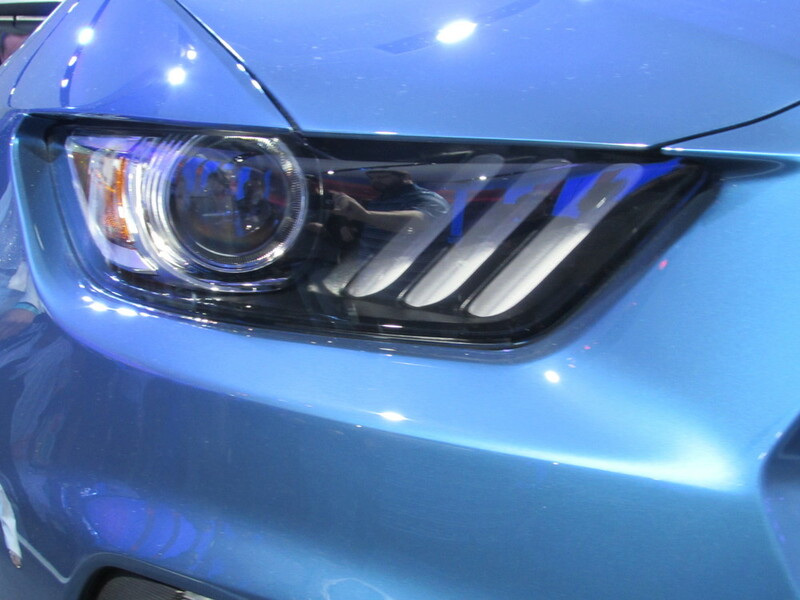 The biggest press event had to be from the big blue oval of Ford Motor Company. 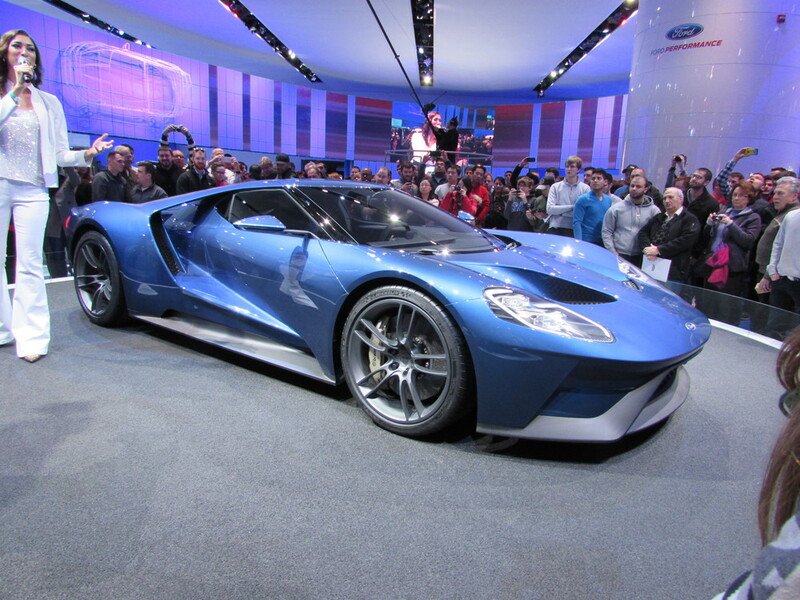 They unveiled the next generation Ford GT, a 2016 model year. I have to admit that I’m partial to the cleaner, more simple aesthetic of the last generation Ford GT, but this car is much more than a nod to the past. In a nod to what’s to come, this car is powered with a twin turbocharged V6 engine, producing at least 600hp. I believe the new GT looks like its ready to compete with the likes of Corvette, Ferrari 458, and Mclaren 650S – this is a true blue gt racer. The car looks absolutely functional in it’s presentation with, love them or hate them, aero-important flying buttresses, vents, and hour-glass shaped bell housing area. The guy’s from AUTOBLOG don’t seem to like some of the aero work, and I’m with them, but this car looks to be entirely functional; nothing is hear that doesn’t absolutely need to be. Where will we see this car race? I think Ford will have no problem convincing IMSA to allow it to compete in the GTLM category of the Tudor United Sports Car Championship. 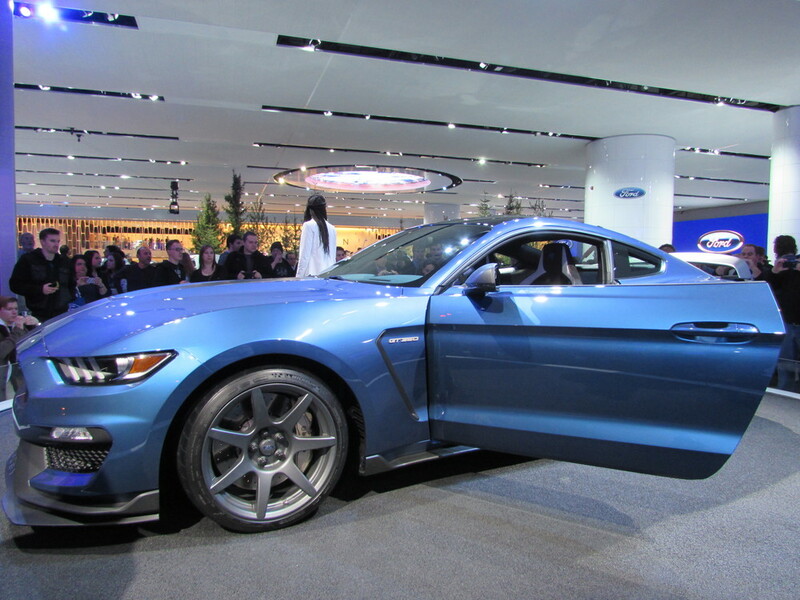 But Ford is certainly looking across seas with they new global Ford Performance program. 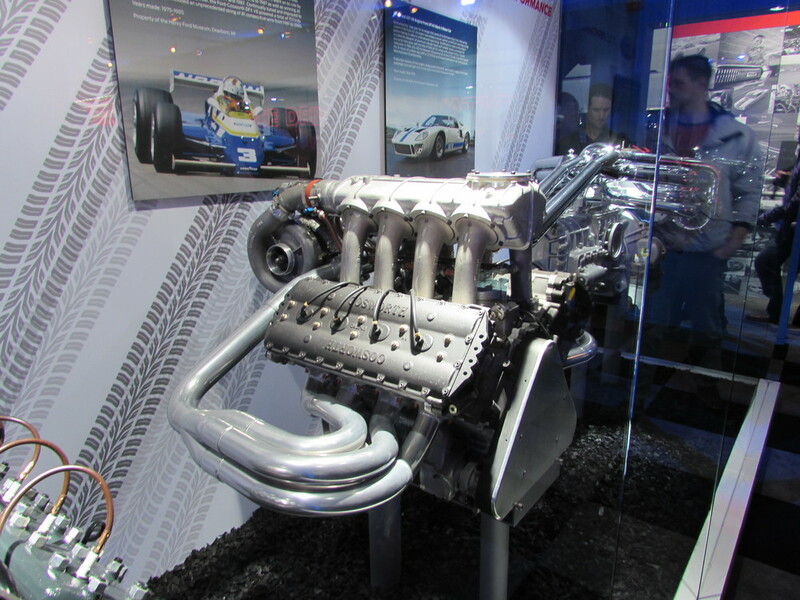 In a recent Midweek Motorsport episode, it was speculated that GTE regulations currently allow only naturally aspirated engines. They also mentioned that it probably wouldn’t be too hard for Ol’ Blue to convince the ACO to allow such a significant automobile to compete at Le Mans. Either way, we’re hoping to see this car out on track soon. 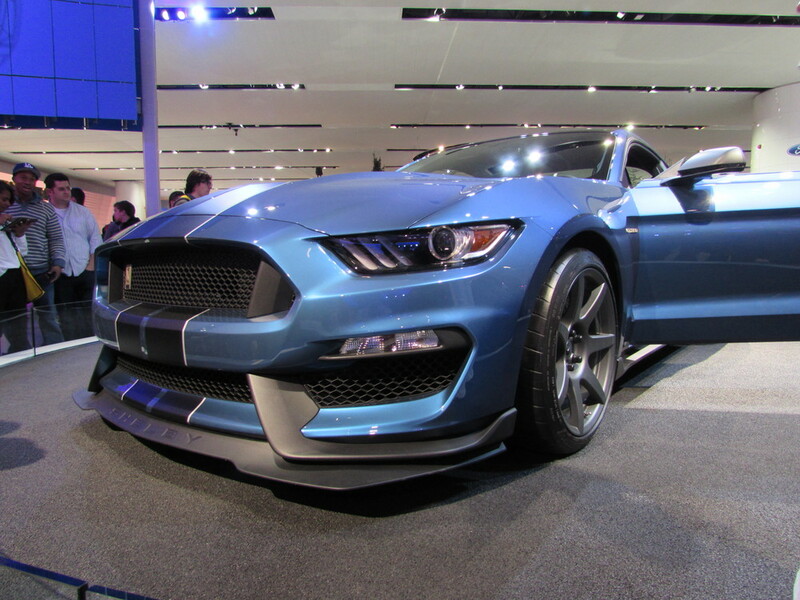 Ford also unveiled the Mustang GT350R – the racing version of the recently touted Mustang GT350. This car is certainly ready to compete with the Z/28 out in the Continental Sports Car Challenge GS ranks. Hopefully we see this monster out there soon as currently all Mustangs in the series are the 2013 spec 302R, which is still competitive nonetheless. I, for one, absolutely love the aggressive styling of this beast like racer. The new Mazda MX-5 should be on showroom floors in time for the warmer weather this summer. Currently, we see several MX-5 spec series along with the car being raced in the ST class of CTSCC. 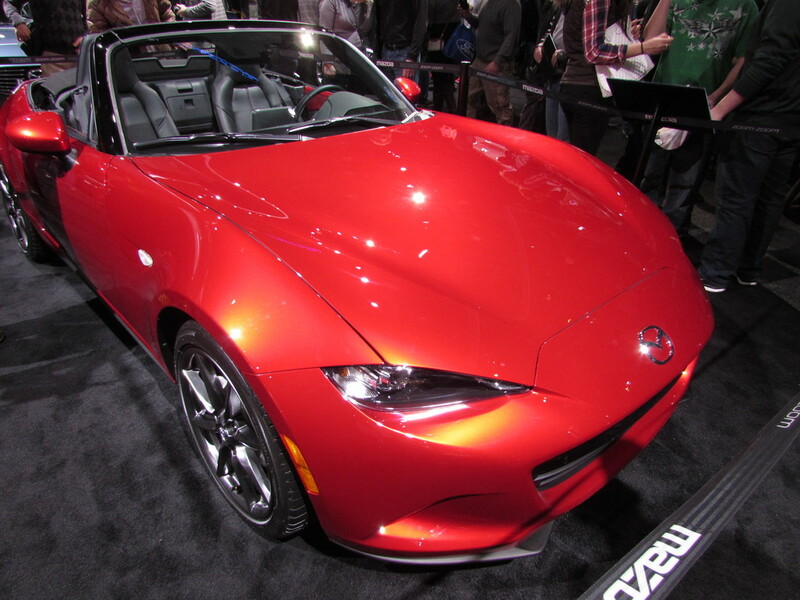 The new-for-2015 MX-5 generation ND is lighter than the NC and certainly looks meaner. More Mazdas are raced each weekend in the United States than any other car, and it looks like the tradition will stand with this new piece. They have already shown off the racing version of the MX-5, and we should see them on racetracks soon. 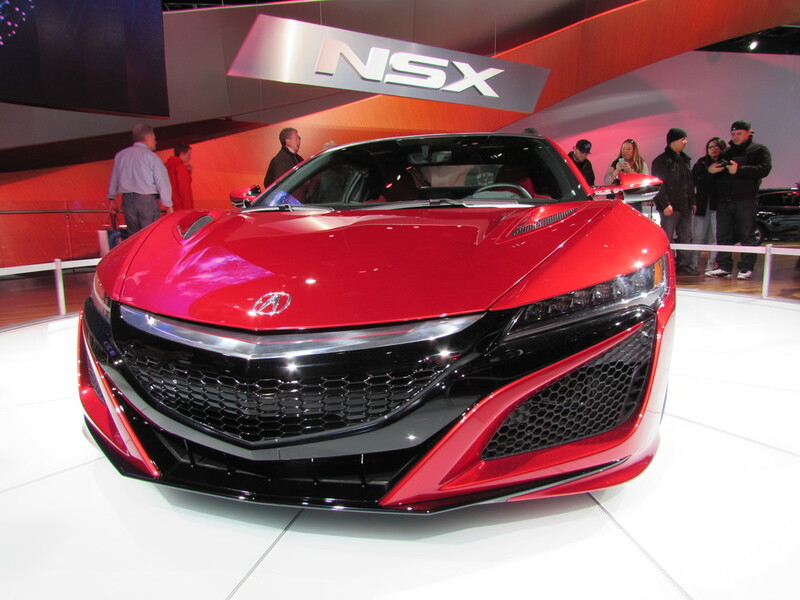 I want to touch base on all the racecars I saw at the show, but I want to touch base on the new Acura NSX. This hybrid powered, 480hp equivalent V6 powered mid-engined car certainly lives up the legacy that we have come to know and love. I’m not sure if and where this car will race. Of course, the original NSX didn’t race here in the states too often at all. It’s good to see a new generation of the supercar and it looks stunning. We’ll see where this heads after it hits the streets. 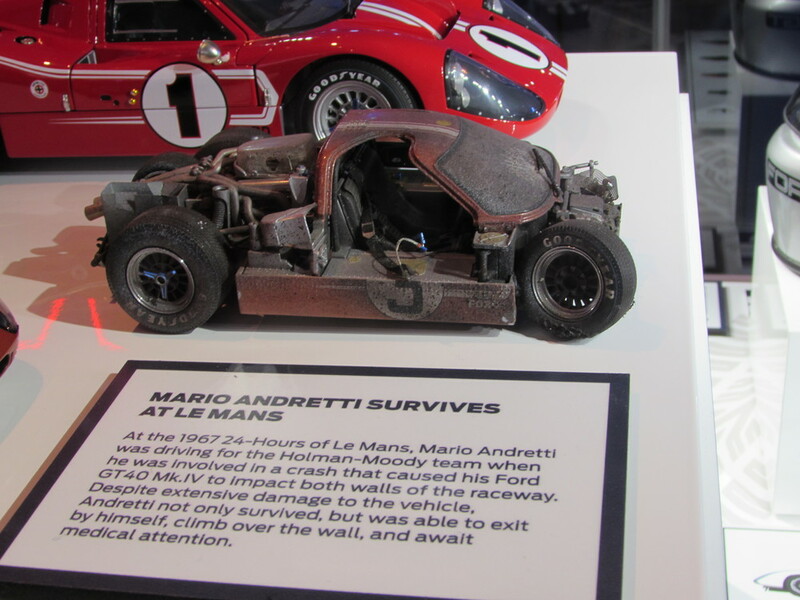 Of course the most relevant thing to me was the racing displays – and everyone had them. 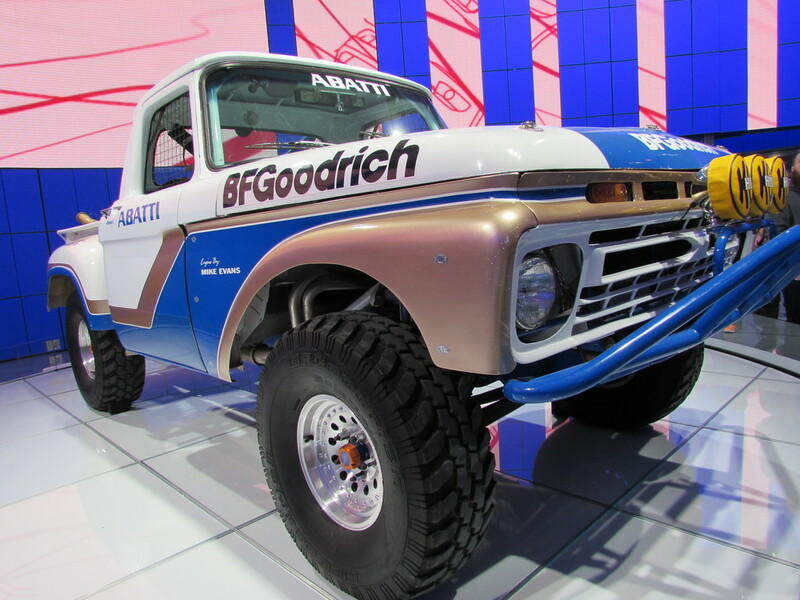 Ford had a total of 5 motorsports driven machines on display. Everything from a rally-raced F-series Pickup to to a classic Mustang GT350. The heritage they were trying to highlight was certainly prevalent. Ford also had a Ford Performance area in the skybox highlighting many years of racing across a multitude of disciplines – including a massive drag racing engine and a Cosworth used in early IndyCar racing. Other displays included the Mazda Skyactiv prototype, Toyota TS040, Acura TLX GT, Lexus FC F GT3, among others. I almost want to say racing was sort of whored-out here at this event, like a promotional or marketing tool. Shouldn’t I be happy about this? I rant about why I like sports car racing and this is one of the main reasons, but for some reason I don’t feel it was truly appreciated appropriately without displays like the Ford Performance display. I guess I truely want to see more STEM-like efforts from car companies showing the importance of racing for testing and development…. And maybe they don’t do that as much as I hope and remember. 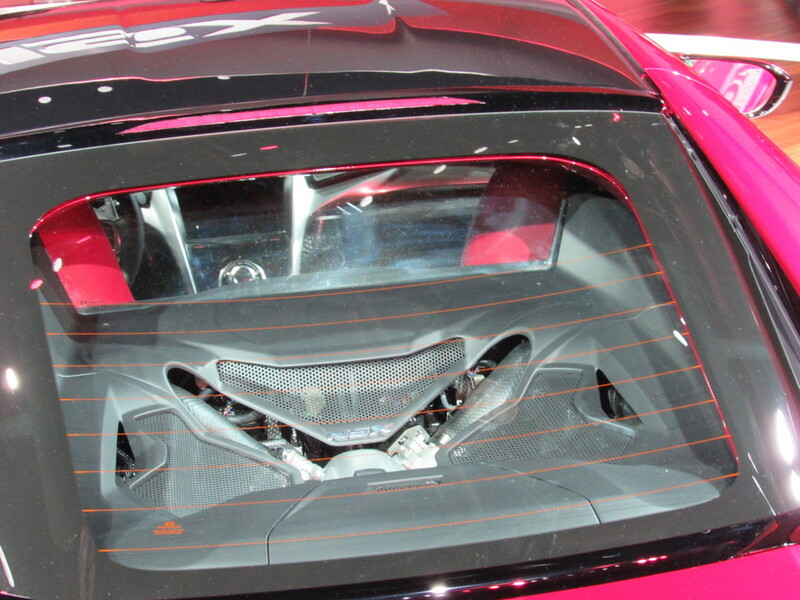 The truth is that a Corvette has to essentially be tuned down to race in IMSA and other series. Are we living in an era where car companies no longer take race-proven technology and put it into our every day road cars. I think the truth is less hopeful. Maybe racing is only truly relevant in terms of Marketing. Yup that last Pic is a beutiful pic of the champs car Dusty! Lol REPEAT!!! Haha. Our photographer, Matt R., does a great job. I can’t wait to see more of his work this year!